bSix12 – Do what makes you happy! » The World’s First Computer Bug! In 1947, engineers working on the Mark II computer at Harvard University found a moth stuck in one of the components. 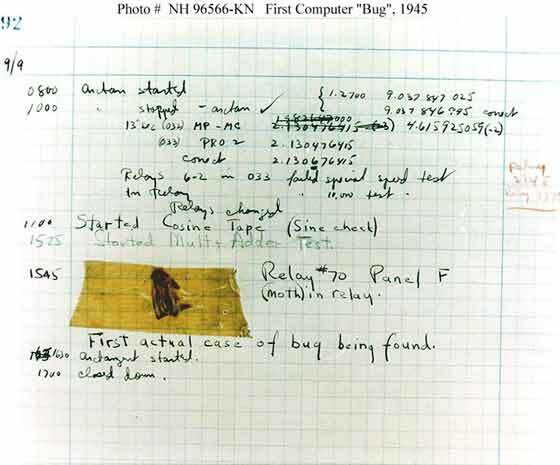 They taped the insect in their logbook and labeled it “first actual case of bug being found.” The words “bug” and “debug” soon became a standard part of the language of computer programmers. The operators removed the moth and taped it to the log. (See the picture below.) The entry reads: "First actual case of bug being found." They had "debugged" the machine and the terms computer bug and "debugging a computer program" were born.